Union Of India Vs. Intercontinental Consultants & Technocrats (P.) Ltd.
A.K. Sikri, J. – In all these appeals, legal issue that needs determination is almost identical, though there may be little variation on facts. This difference pertains to the nature of services provided by the respondents/assessees who are all covered by the service tax. The fringe differences in the nature of services, however, nature of differences, however, has no impact on the final outcome. 3. While rendering the aforesaid services, the assessees are also getting reimbursement in respect of certain activities undertaken by them which according to them is not includable to arrive at ‘gross value’ charged from their clients. As per Rule 5 of the Service Tax (Determination of Value) Rules, 2006 (hereinafter referred to as the ‘Rules’), the value of the said reimbursable activities is also to be included as part of services provided by these respondents. Writ petitions were filed by the assessees challenging the vires of Rule 5 of the Rules as unconstitutional as well as ultra vires the provisions of Sections 66 and 67 of Chapter V of the Finance Act, 1994 (hereinafter referred to as the ‘Act’). The High Court of Delhi has, by the judgment dated November 30, 2012, accepted the said challenge and declared Rule 5 to be ultra vires these provisions. Other cases have met similar results by riding on the judgment dated November 30, 2012. This necessitates examining the the correctness of the judgment of the Delhi High Court and outcome thereof would determine the fate of all these appeals/transfer petitions. 5. The assessee M/s. Intercontinental Consultants and Technocrats Pvt. Ltd. is a provider of consulting engineering services. It specialises in highways, structures, airports, urban and rural infrastructural projects and is engaged in various road projects outside and inside India. In the course of the carrying on of its business, the petitioner rendered consultancy services in respect of highway projects to the National Highway Authority of India (NHAI). The petitioner receives payments not only for its service but is also reimbursed expenses incurred by it such as air travel, hotel stay, etc. It was paying service tax in respect of amounts received by it for services rendered to its clients. It was not paying any service tax in respect of the expenses incurred by it, which was reimbursed by the clients. On 19.10.2007, the Superintendent (Audit) Group II (Service Tax), New Delhi issued a letter to the petitioner on the subject “service tax audit for the financial year 2002-03 to 2006-07. In this letter, it was mentioned by the appellant that service tax was liable to be charged on the gross value including reimbursable and out of pocket expenses like travelling, lodging and boarding etc. and the respondent was directed to deposit the due service tax along with interest @13% under Sections 73 and 75 respectively of the Act. In response, the respondent provided month-wise detail of the professional income as well as reimbursable out of pocket expenses for the period mentioned in the aforesaid letter. Thereafter, a show cause notice dated March 17, 2008 was issued by the Commissioner, Service Tax, Commissionerate vide which the respondent was asked to show cause as to why the service tax should not be recovered by including the amounts of reimbursable which were received by the respondent, pointing out these were to be included while arriving at the gross value as per provisions of Rule 5(1) of the Rules. Illustration 1 : X contracts with Y, a real estate agent to sell his house and thereupon Y gives an advertisement in television. Y billed X including charges for Television advertisement and paid service tax on the total consideration billed. In such a case, consideration for the service provided is what X pays to Y Y does not act as an agent behalf of X when obtaining the television advertisement even if the cost of television advertisement is mentioned separately in the invoice issued by X. Advertising service is an input service for the estate agent in order to enable or facilitate him to perform his services as an estate agent.Explanation 2 : For the removal of doubts it is clarified that the value of the taxable service is the total amount of consideration consisting of all components of the taxable service and it is immaterial that the details of individual components of the total consideration is indicated separately in the invoice. 67. Valuation of taxable services for charging service tax. ‘10. The High Court, after taking note of the aforesaid provisions, noted that the provisions both amended and unamended Section 67 authorised the determination of value of taxable services for the purpose of charging service tax under Section 66 (which is a charging section) as the gross amount charged by the service provider for such services provided or to be provided by him, in a case where the consideration for the service is money. Emphasising on the words ‘for such service’, the High Court took the view that the charge of service tax under Section 66 has to be on the value of taxable service i.e. the value of service rendered by the assessee to the NHAI, which is that of a consulting engineer, that can be brought to charge and nothing more. The quantification of the value of the service can, therefore, never exceed the gross amount charged by the service provider for the service provided by him. On that analogy, the High Court has opined that scope of Rule 5 goes beyond the Section which was impermissible as the Rules which have been made under Section 94 of the Act can only be made ‘for carrying out the provisions of this Chapter’ (Chapter V of the Act) which provides for levy quantification and collection of the service tax. In the process, the High Court observed that the expenditure or cost incurred by the service provider in the course of providing the taxable service can never be considered as the gross amount charged by the service provider ‘for such service’ provided by him, and illustration 3 given below the Rule which included the value of such services was a clear example of breaching the boundaries of Section 67. The High Court even went on to hold further pointed out that it may even result in double taxation inasmuch as expenses on air travel tickets are already subject to service tax and are included in the bill. No doubt, double taxation was permissible in law but it could only be done if it was categorically provided for and intended; and could not be enforced by implication as held in Jain Brother v. Union of India  77 ITR 107 (SC). The High Court has also referred to many judgments of this Court for the proposition that Rules cannot be over-ride or over-reach the provisions of the main enactment Central Bank of India v. Workman AIR 1960 SC 12; Babaji Kondaji Garad v. Nasik Merchants Co – Operative Bank Ltd.  2 SCC 50; State of UP v. Babu Ram Upadhya AIR 1961 SC 751; CIT v. S. Chenniappa Mudaliar  74 ITR 41 (SC); Bimal Chandra Banerjee v. State of M.P. 81 ITR 105 (SC) and CIT v. Taj Mahal Hotal  82 ITR 44 (SC). The High Court also referred to the judgment of Queens Bench of England in the case of Commissioner of Custom & Excise v. Cure & Deelay Ltd.  3 WLR 788 (QB). 11. Mr. K. Radhakrishnan, learned senior counsel argued for the appellant, ably assisted by Ms. Nisha Bagchi, advocate who also made significant contribution by arguing some of the nuances of the issue involved. Submission of the learned counsel appearing for the appellant/Department was that prior to April 19, 2006 i.e. in the absence of Rule 5 of the Rules, the value of taxable services was covered by Section 67 of the Act. As per this Section, the value of taxable services in relation to consulting engineering services provided or to be provided by a consulting engineer to the client shall be the gross amount charged for a consideration or in money from the client in respect of engineering services. The expression ‘gross amount charged’ would clearly include all the amounts which were charged by the service provider and would not be limited to the remuneration received from the customer. The very connotation ‘gross amount charged’ denotes the total amount which is received in rendering those services and would include the other amounts like transportation, office rent, office appliances, furniture and equipments etc. It was submitted that this expenditure or cost would be part of consideration for taxable services. It was, thus, argued that essential input cost had to be included in arriving at gross amount charged by a service provider. 12. It was further submitted that Section 67 of the Act was amended w.e.f. May 01, 2006 and this also retained the concept of ‘the gross amount charged’ for the purpose of arriving at valuation on which the service tax is to be paid. The learned counsel pointed out that sub-section (4) of amended Section 67 categorically provides that the value has to be determined in such a manner as may be prescribed and in pursuant thereto, Rule 5 of the Rules which came into effect from June 01, 2007, provided for ‘inclusion in or exclusion from value of certain expenditure or costs’. It was submitted that there was no dispute that as per this Rule, all such expenditure or costs which are incurred by the service provider in the course of providing taxable services are to be treated as consideration for the taxable services provided or to be provided for arriving at valuation for the purpose of charging service tax, except those costs which were specifically excluded under sub-rule (2) of Rule 5. Submission was that since Section 67 specifically lays down the principle of gross amount charged by a service provider for the services provided or to be provided, Rule 5 did not go contrary to Section 67 as it only mentions what would be the meaning of gross amount charged. ‘8. Mr N.A. Palkhivala, learned counsel for the assessees, has propounded three principles which, he contends, form the essential characteristics of a duty of excise. Firstly, he says, excise is a tax on manufacture or production and not on anything else. Secondly, uniformity of incidence is a basic characteristic of excise. And thirdly, the exclusion of post-manufacturing expenses and post-manufacturing profits is necessarily involved in the first principle and helps to achieve the second. Learned counsel urges that where excise duty is levied on an ad valorem basis the value on which such duty is levied is a “conceptual value”, and that the conceptual nature is borne out by the circumstance that the identity of the manufacturer and the identity of the goods as well as the actual wholesale price charged by the manufacturer are not the determining factors. It is urged that the old Section 4(a) clearly indicates that a conceptual value forms the basis of the levy, and that the actual wholesale price charged by the particular assessee cannot be the basis of the excise levy. It is said that the criterion adopted in clause (a) succeeds in producing uniform taxation, whether the assessees are manufacturers who sell their goods in wholesale, semi-wholesale or in retail, whether they have a vast selling and marketing network or have none, whether they sell at depots and branches or sell at the factory gate, and whether they load the ex-factory price with post-manufacturing expenses and profits or do not do so. Because the value of the article rests on a conceptual base, it is urged, the result of the assessment under Section 4(a) cannot be different from the result of an assessment under Section 4(b). The contention is that the principle of uniformity of taxation requires the exclusion of post-manufacturing expenses and profits, a factor which would vary from one manufacturer to another. It is pointed out that such exclusion is necessary to create a direct and immediate nexus between the levy and the manufacturing activity, and to bring about a uniformity in the incidence of the levy. Learned counsel contends that the position is the same under the new Section 4 which, he says, must need be so because of the fundamental nature of the principles propounded earlier. Referring to the actual language of the new Section 4(1)(a), it is pointed out that the expression “normal price” therein means “normal for the purposes of excise”, that is to say, that the price must exclude post-manufacturing expenses and post-manufacturing profit and must not be loaded with any extraneous element. It is conceded, however, that under the new Section 4(1)(a) there is no attempt to preserve uniformity as regards the amount of duty between one manufacturer and another, but it is urged that the basis on which the value is determined is constituted by the same conceptual criterion, that post-manufacturing expenses and post-manufacturing profit must be excluded. Considerable emphasis has been laid on the submission that as excise duty is a tax on the manufacture or production of goods it must be a tax intimately linked with the manufacture or production of the excisable article and, therefore, it can be imposed only on the assessable value determined with reference to the excisable article at the stage of completed manufacture and to no point beyond. To preserve this intimate link or nexus between the nature of the tax and the assessment of the tax, it is urged that all extraneous elements included in the “value” in the nature of post-manufacturing expenses and post-manufacturing profits have to be off-loaded. It is pointed out that factors such as volume, quantity and weight, which enter into the measure of the tax, are intimately linked with the manufacturing activity, and that the power of Parliament under Entry 84 of List I of the Seventh Schedule to the Constitution to legislate in respect of “value” is restricted by the conceptual need to link the basis for determining the measure of the tax with the very nature of the tax. 15. It was, thus, argued that the High Court had committed serious error in relying upon Section 66 of the Act (which is a charging section) while interpreting Section 67 of the Act, or for that matter, while examining the validity of Rule 5 of the Rules. The learned counsel also relied upon the dictionary meaning that is given to the word ‘gross amount’. At the end, it was submitted that Section 67 which uses the term ‘any amount’ would include quantum as well as the nature of the amount and, therefore, cost for providing services was rightly included in Rule 5, which was not ultra vires Section 67 of the Act. 16. Mr. J.K. Mittal, Advocate, appeared for M/s. Intercontinental Consultants and Technocrats Pvt. Ltd. He argued with emphasis that the impugned judgment of the High Court was perfectly in tune with legal position and did not call for any interference. At the outset, he pointed out that the Parliament has again amended Section 67 of the Act by the Finance Act, 2015 w.e.f. May 14, 2015. By this amendment, explanation has been added which now lays down that consideration includes the reimbursement of expenditure or cost incurred by the service provider. Taking clue therefrom, he developed the argument that for the first time, w.e.f. May 14, 2015, reimbursement of expenditure or cost incurred by the service provider gets included under the expression ‘consideration’, which legal regime did not prevail prior to May 14, 2015. Therefore, for the period in question, the ‘consideration’ was having limited sphere, viz. It was only in respect of taxable services provided or to be provided. On that basis, submission was that for the period in question that is covered by these appeals, there could not be any service tax on reimbursed expenses as Section 67 of the Act did not provide for such an inclusion. Mr. Mittal also referred to para 2.4 of Circular/Instructions F. No. B-43/5/97-TRU dated June 6, 1997 wherein it is clarified that ‘…various other reimbursable expenses incurred are not to be included for computing the service tax”. 20. We have duly considered the aforesaid submissions made by the learned counsel for the Department as well as the counsel for the assessees. As can be seen, these submissions are noted in respect of Civil Appeal No. 2013 of 2014 where the assessee is providing ‘consulting engineering services’. In other appeals, though the nature of services is somewhat different, it doesn’t alter the colour of legal issue, in any manner. In the course of providing those services, the assessees had incurred certain expenses which were reimbursed by the service recepient. These expenses were not included for the purpose of valuation, while paying the service tax. Thus, the question for determination which is posed in Civil Appeal No. 2013 of 2014, answer to that would govern the outcome of the other appeals as well. Still, for the sake of completeness, we may give a brief resume of all these cases. A. “Consulting Engineering Services” – Assessee were providing consulting services to M/s. NHAI for highway projects. They were paying Service Tax on remuneration only instead of the gross value charged from the client. Demand: Rs. 6,35,071/-as confirmed in the O-I-O. The Commissioner(Appeals) set aside the demand on the reimbursable expenses received under the category “Clearing & Forwarding Agent” Service relation to 1.04.2004-17.04.2006 and confirmed the remaining demand. Customs Examination Charges, Misc. Expenses, Sundry expenses, strapping and re-strapping charges, documentation charges. 5. T.P. (C) No. 10431045/2017 UOI v. Sri Chidambaram & Ors. A Transfer Petition for transferring W.P. Nos. 20832, 14521 and 20590 of 2016 pending before Hon’ble High Court at Madras. 8. T.P. (C) 1932-1934/2017 CST v. Green Channel Cargo Care Period: April 2006-March 2009 Harbour/Airport Authority of India/CFS/CCTL and delivery order charges, harbour dues, seal verification, warehouse/godown charges. 3. 4356-4537/2016 CCE&ST v. S.V. Engineering Value of diesel oil and explosives supplied free of cost by service recipient. SCN dated 01.10.2012 confirmed by O-I-O dated 04.05.2011 Value of explosives and diesel oil supplied free of cost by service recipient. Demand: Rs. 50,54,746/- Value of explosives and diesel oil supplied free of cost by service recipient. 21. Undoubtedly, Rule 5 of the Rules, 2006 brings within its sweep the expenses which are incurred while rendering the service and are reimbursed, that is, for which the service receiver has made the payments to the assessees. As per these Rules, these reimbursable expenses also form part of ‘gross amount charged’. Therefore, the core issue is as to whether Section 67 of the Act permits the subordinate legislation to be enacted in the said manner, as done by Rule 5. As noted above, prior to April 19, 2006, i.e., in the absence of any such Rule, the valuation was to be done as per the provisions of Section 67 of the Act. 23. 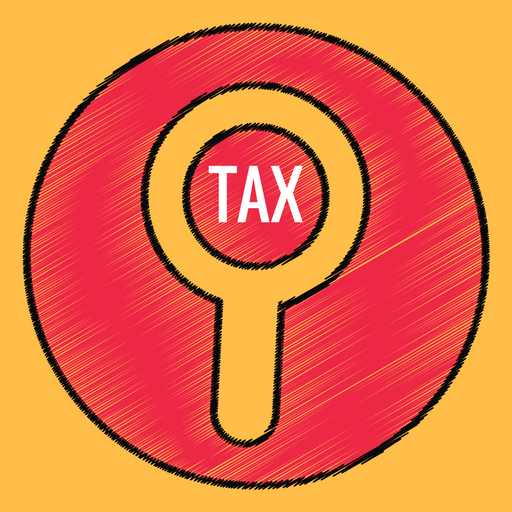 Obviously, this Section refers to service tax, i.e., in respect of those services which are taxable and specifically referred to in various sub-clauses of Section 65. Further, it also specifically mentions that the service tax will be @ 12% of the ‘value of taxable services’. Thus, service tax is reference to the value of service. As a necessary corollary, it is the value of the services which are actually rendered, the value whereof is to be ascertained for the purpose of calculating the service tax payable thereupon. 24. In this hue, the expression ‘such’ occurring in Section 67 of the Act assumes importance. In other words, valuation of taxable services for charging service tax, the authorities are to find what is the gross amount charged for providing ‘such’ taxable services. As a fortiori, any other amount which is calculated not for providing such taxable service cannot a part of that valuation as that amount is not calculated for providing such ‘taxable service’. That according to us is the plain meaning which is to be attached to Section 67 (unamended, i.e., prior to May 01, 2006) or after its amendment, with effect from, May 01, 2006. Once this interpretation is to be given to Section 67, it hardly needs to be emphasised that Rule 5 of the Rules went much beyond the mandate of Section 67. We, therefore, find that High Court was right in interpreting Sections 66 and 67 to say that in the valuation of taxable service, the value of taxable service shall be the gross amount charged by the service provider ‘for such service’ and the valuation of tax service cannot be anything more or less than the consideration paid as quid pro qua for rendering such a service. 25. This position did not change even in the amended Section 67 which was inserted on May 01, 2006. Sub-section (4) of Section 67 empowers the rule making authority to lay down the manner in which value of taxable service is to be determined. However, Section 67(4) is expressly made subject to the provisions of sub section (1). Mandate of sub-section (1) of Section 67 is manifest, as noted above, viz., the service tax is to be paid only on the services actually provided by the service provider. “27. A legislation, be it a statutory Act or a statutory rule or a statutory notification, may physically consists of words printed on papers. However, conceptually it is a great deal more than an ordinary prose. There is a special peculiarity in the mode of verbal communication by a legislation. A legislation is not just a series of statements, such as one finds in a work of fiction/non-fiction or even in a judgment of a court of law. There is a technique required to draft a legislation as well as to understand a legislation. Former technique is known as legislative drafting and latter one is to be found in the various principles of “interpretation of statutes“. Vis-à-vis ordinary prose, a legislation differs in its provenance, layout and features as also in the implication as to its meaning that arise by presumptions as to the intent of the maker thereof. 28. Of the various rules guiding how a legislation has to be interpreted, one established rule is that unless a contrary intention appears, a legislation is presumed not to be intended to have a retrospective operation. The idea behind the rule is that a current law should govern current activities. Law passed today cannot apply to the events of the past. If we do something today, we do it keeping in view the law of today and in force and not tomorrow’s backward adjustment of it. Our belief in the nature of the law is founded on the bedrock that every human being is entitled to arrange his affairs by relying on the existing law and should not find that his plans have been retrospectively upset. This principle of law is known as lex prospicit non respicit: law looks forward not backward. As was observed in Phillips v. Eyre [(1870) LR 6 QB 1] , a retrospective legislation is contrary to the general principle that legislation by which the conduct of mankind is to be regulated when introduced for the first time to deal with future acts ought not to change the character of past transactions carried on upon the faith of the then existing law. 30. As a result, we do not find any merit in any of those appeals which are accordingly dismissed. 31. In the aforesaid appeals, the issue is as to whether the value of free supplies of diesel and explosives in respect of the service of ‘Site Formation and Clearance Service’ can be included for the purpose of assessment to service tax under Section 67 of the Act. These assessees had not availed the benefit of aforesaid Notifications Nos. 15/2004 and 4/2005. Therefore, the issue has to be adjudged simply by referring to Section 67 of the Act. We have already held above that the value of such material which is supplied free by the service recipient cannot be treated as ‘gross amount charged’ and that is not the ‘consideration’ for rendering the services. Therefore, value of free supplies of diesel and explosives would not warrant inclusion while arriving at the gross amount charged on its service tax is to be paid. Therefore, all these appeals are also dismissed. This entry was posted in GST Caselaws, Section 15 and tagged In favour of Assessee (GST), service tax on reimbursement of expenses, Supreme Court Of India on GST, Year 2018.